The AhlulBayt Islamic Mission (AIM) condemns and denounces activities that slander the wives and companions of the Holy Prophet [peace be upon him and his family] who are revered by our Sunni brothers and sisters. We believe that such actions are executed in service of the enemies of Islam who wish to exploit sensitivities and incite sectarianism amongst Muslims. It is not permissible to undermine the symbols of our Sunni brothers and more so it is not permissible to accuse the wife of the Prophet [peace be upon him and his family] in what would dishonour her. This is something not permissible for all prophets including their master the Holy Messenger [peace be upon him and his family]. In light of this, AIM feels obliged to warn the community of personalities and organisations that intentionally take advantage of religious symbols in order to provoke tension and hostility, all the while neglecting the major challenges that face the Ummah. 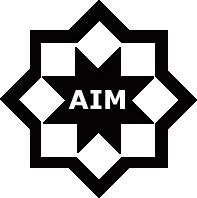 AIM believes such activity to be contrary to the teachings of the Prophet [peace be upon him and his family] and the Imams [peace be upon them] and calls on all believers to undertake the utmost of vigilance in this matter.